Work is the antidote for poverty. Work is used to elevate one in respect and important (Aspiring to higher height is fully dependent on hard work). if we do not have anyone to lean on, we appear indolent. If we do not have anyone to trust (we can depend on). Your mother may be wealthy. Your father may have a ranch full of horses. If you depend on their riches alone. You may end up in disgrace, I tell you. Whatever gain one does not work hard to earn. Whatever gain one works hard to earn. Is the one that lasts in one's hands (while in one's possession). The elbow is a sibling. You may be loved by all today. It is when you have money. That they will love you tomorrow. Or when you are in a high position. The world will honor you with cheers and smiles. Wait till you become poor or are struggling to get by. And you will see how all grimace at you as they pass you by. Education also elevates one in position. Work hard to acquire good education. And if you see a lot of people. Making education a laughing stock. Please do not emulate or keep their company. Suffering is lying in wait for an unserious kid. Sorrow is in the reserve for a truant kid. Do not play with your early years, my friend. Work harder; time and tide wait for no one. Iya o, Iya o, Iya o.
Oun be ni orun ara won. IF YOU LOVE THESE POEMS THEN SHARE IT. 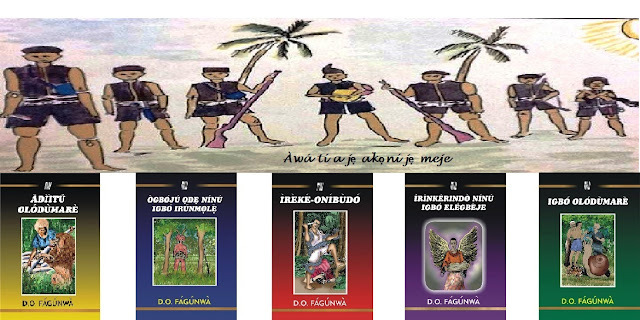 We, at Sunshine Bookseller, are proud to bring to you the full collection (6 Books, Iwe Kinni - Iwe Kefa) of J. F. Odunjo books at a promo price of One Thousand, Five Hundred Naira (N1,500) each. DUE TO POPULAR DEMANDS, THIS PROMO HAS BEEN EXTENDED FOR JUST 7 DAYS. Delivery is N500 within Ibadan and costs just N1,000 to deliver within Lagos (Call Taofeeq on 09091362508 or 08069562919 if your delivery address is in Lagos) and you can also pay on delivery if you are in Lagos or Ibadan. Just text your Name, Delivery address, the Best time to delivery to 08028708577 and someone will be there to deliver to you then you can Pay on Delivery (Please note that POD is applicable to Lagos and Ibadan people only). 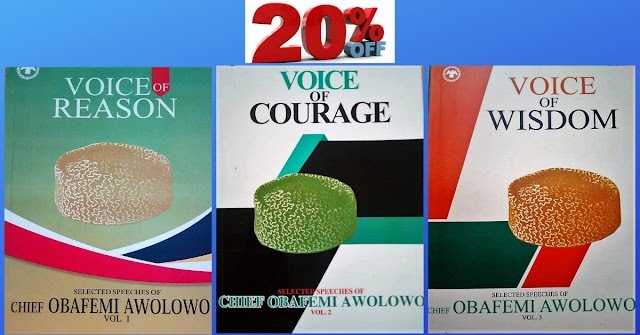 Ibadan people can also come to 2, Durowade Crescent, Olopomewa Area, Eleyele or call 08028708577 to buy their copies while Lagos people can call our Lagos sales representative, Taofeeq on 09091362508 and he will come and deliver to them. Delivery to Kano, Kastina, Sokoto, Jos, Kaduna, Niger will cost just N2,000 and delivery will be via public transport. The driver's details will be sent to you and you will also speak with the driver at the point of sending to arrange how best to meet at his destination and collect books. Delivery to other location can be arranged with us for the best option. 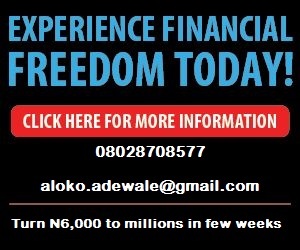 Just call 08028708577. 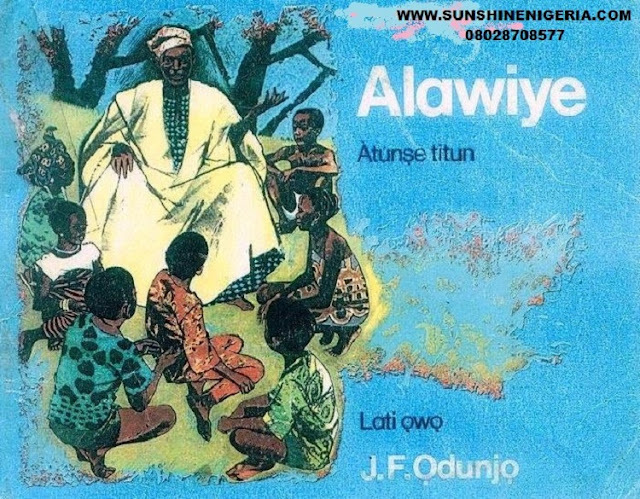 VISIT OUR WEBSITE WWW.SUNSHINENIGERIA.COM FOR OTHER GREAT BOOKS. FOR THOSE OF YOU LOOKING FOR WHERE TO DOWNLOAD THE DIGITAL VERSION, WELL, CHECK BELOW. do not understand this. You must proceed your writing. I am sure, you have a great readers' base already!